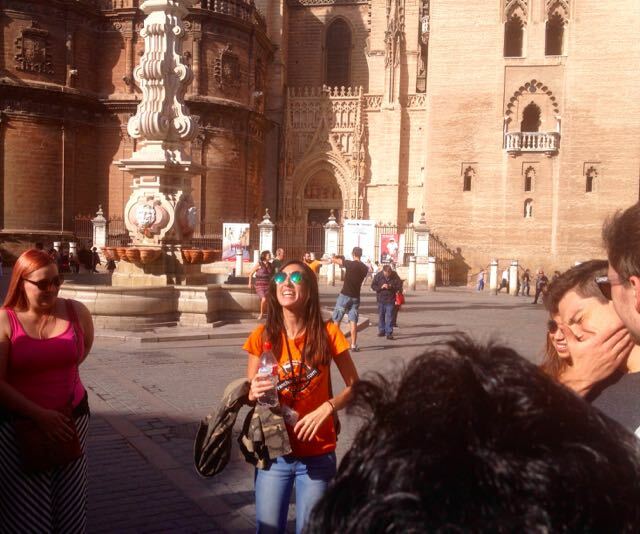 Very popular in southern Spain are free (by donation) walking tours. Here’s my excellent guide – Honey Bee. The modern (2011) Metropol Parasol project impressed me too. It’s the the world’s largest wooden structure. The Plaza de España is gorgeous.